UPDATED – Announcing the Creator After Con Network Anthology! Creator After Con Network started with a group of aspiring comic creators, some strangers to one another, coming together at a pizza place after a very productive NYCC to continue their conversations that the boundaries of the convention itself couldn’t sustain. Much like the connections made that day, a simple meet-up grew into an event, which grew out of the pizza place and into our annual NYCC home The Twins Pub. But we expanded even further, branching out into different regions, spreading the word about independent creators coming together to collaborate and make comics. Now, in 2018 we’ve decided to go even further and give a shining example of what a few like-minded individuals with a hot streak for creativity and can do when they unify into a single, concerted effort. An Anthology. A collection of stories by members who have met by way of our events nationwide, with a through line of Connections. Because what else would a group of networking advocates create an anthology about? We’re sure this raises many questions, so please allow us to field them in a simple FAQ. A comics anthology, created entirely by rising creators from CACN, with a theme of ‘Connections’. This project is being managed by the members of the Creator After Con Network and will be fueled by content from YOU. Writers, artists, letterers, colorists, anyone interested in working together to make this project happen. 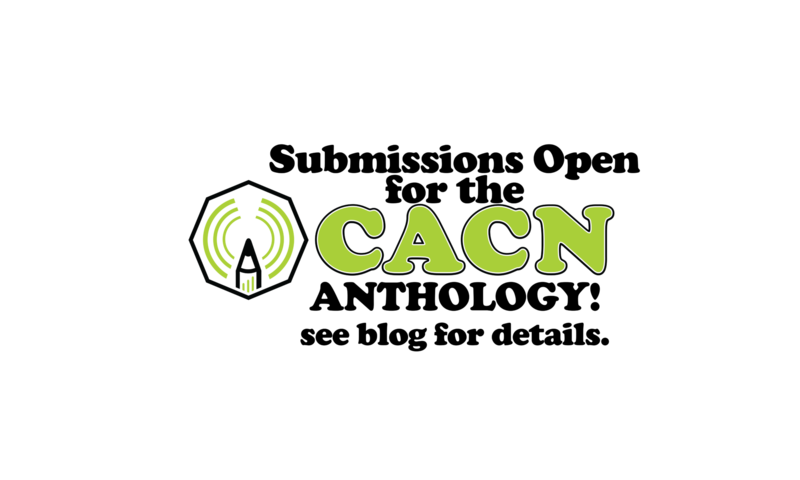 If you are reading this, then most likely you’ve been connected through CACN or a member of CACN. We ARE EXTENDING THE NOV 15TH DEADLINE!! All log lines and pitches/outlines no later than November 30th for Writers. We’ll also expect a first script draft by Dec 31st if you are selected. Artist/Colorists/Letterers portfolio submissions for consideration are due by December 31st. We’re looking for short stories of 5-10 pages, from any genre or point of view and based around the word “connections” to get us (and your future collaborators) as excited about your story as you are. Connections can mean a lot of things, so find the story that speaks to you and don’t be afraid to be creative with the prompt. This anthology is a chance to show off the diversity of our stories, so tell a story that that no one else but you would tell. What should my pitch look like? We’re looking for a short summary, at least three or four paragraphs, but preferably no more than a page, that gives a strong idea of the characters, plot, tone, and arc of the story. Ideally, this will include a page breakdown of the story including the ending. Think synopsis more than elevator pitch. This will give us a sense of what the story will look like in action, rather than as a concept. Don’t hold anything back. This is your chance to show us exactly why your story is great, so don’t be afraid to get into detail or spoil twists. It’s the audience who needs to be wowed, we’re the ones who need to know how you’re going to wow them. How are we funding this project? Currently our sights are set on Kickstarter.